Like the shoes on our feet, the tires and wheels on our cars protect us from direct contact with the ground. And like those shoes we wear day in and day out, tires and wheels can rub, wear unevenly, and eventually fail to do their jobs. 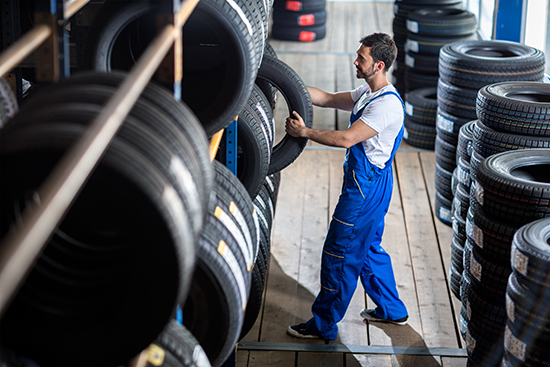 That’s why tire rotations and wheel alignments are integral parts of vehicle maintenance; staying on top of these services means a car can reach its maximum level of performance and safety. But while the end result of rotations and alignments is the same, there are some important differences between the two procedures. 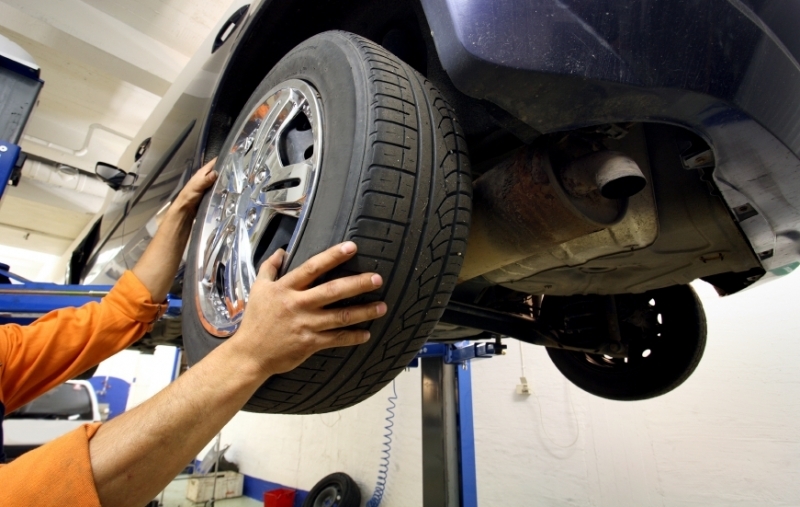 Tire rotations are necessary to ensure even wear on a vehicle’s tires. See, the act of driving throws a car’s weight around, leaving distinctive erosion patterns on the tires. Uneven tread can develop from incorrect wheel alignment or over- or under-inflation of the tires. Whether you have front-wheel, rear-wheel, or four-wheel drive makes a difference too. In order to combat the inevitable tread wear, you have to rotate your tires to different locations on your vehicle. Since the rotation pattern is dependent on factors like tire type and to which wheels power is sent, your mechanic will shift those tires around in a specific way so they wear evenly. By rotating your tires, your vehicle's braking will also be more even, thus more effective; and the handling will be more balanced. Evenly worn tires also equate to a smoother ride, with increased traction and better gas mileage. Plus, they’ll just last longer. With the tread wear staying even across the whole tire, you’ll be able to use the tires for their maximum lifetime. Wheel alignments are necessary to keep a vehicle driving true. Wheels can become misaligned for a number of reasons, including natural wear on the parts or an unfortunate run-in with a pothole that results in suspension damage. • The car feels as though it’s pulling to the left or right instead of straight ahead. • The tires are wearing unevenly. • The steering wheel is crooked. 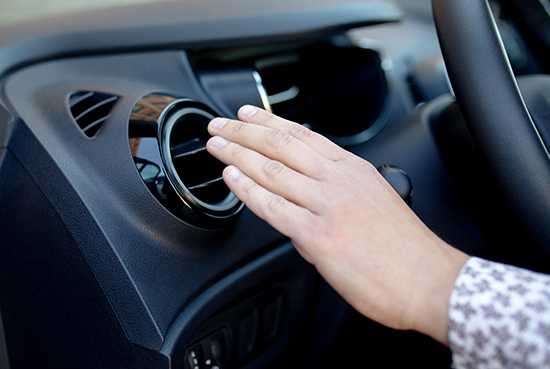 • Vibrations felt in the car or through the steering wheel at speed. 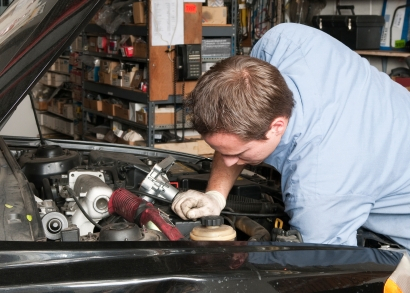 Keeping those wheels nicely aligned provides a number of benefits for your vehicle. You’ll notice improved handling and gas mileage, tire wear will be reduced, and so will steering column wear. Also, check that tire warranty. Does it require you to get your wheels aligned within a certain time frame? No need to void a warranty on such a basic maintenance item. The rule of thumb is this: Tire rotations are a regular maintenance item and wheel alignments are only needed as a repair. Easy enough, right? Wheel alignments should be performed only when you notice the signs mentioned above. However, manufacturers recommend you rotate your tires every 6,000 to 8,000 miles, convenient timing to perform the service at roughly every other oil change. If you drive your car pretty hard, or have a four-wheel drive vehicle, you may want to rotate your tires a little more often than that. In these cases, it's more sensible to have your tires rotated at 4,000-5,000 miles. But when in doubt, always check your owner's manual!